A few weeks ago, I realized I eat salads pretty much every day for lunch and for a minute that depressed me. When you work in an office full of people who buy delicious smelling take-out everyday, eating a salad with some sort of protein, olive oil and lemon daily gets a bit depressing. Really it’s all a question of comparison. But then I remember all the reasons I eat salads: health, tastiness, cost-effectiveness and of course, vanity– salads keep me in shape. But that got me thinking: if I were a “naturally thin” person would I eat out all the time? Would I still go to crossfit? Umm yeah, no. I’ve deluded myself (and led others) to believe that I love salad. I like salads just fine, but I don’t love salad. I love cookies. And pie. But I make myself eat salad. Because being an adult means doing things you don’t love in the name of health. I don’t think that’s a bad thing. So I eat a ton of vegetables and I go to crossfit. I genuinely enjoy crossfit but I also genuinely enjoy my bed at 5:20am when my alarm goes off. Vegetables and exercise are important. But let’s also remember that women cannot live on vegetables alone (although I know many try). Sometimes we just need a dang cookie. So I have one for you today. This isn’t my recipe, but it’s a recipe that is awesome so I have to share it with you. 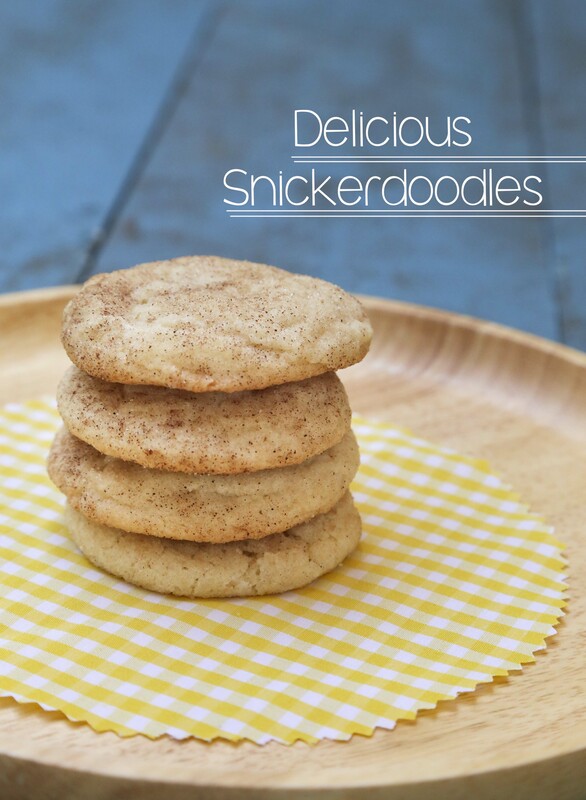 If you’re looking for an awesome snickerdoodle recipe, look no further. I’ve got you covered. Pre-heat oven to 400F. Cream together butter, shortening and 3/4 cup sugar. Beat until fluffy. Add egg and vanilla and beat another minute. Add flour, cream of tartar, baking soda, salt and beat until just combined. Lay dough balls on a parchment paper lined baking sheet a few inches apart. Bake 8-10 minutes. Remove from baking sheets and allow to cool. Serve and enjoy! This will make about 2 dozen cookies. Remember that vegetables are healthy eats are super important in life, but there’s also room for cookies. So don’t forget to have one of those occasionally too. What’s your favorite kind of cookie? I recently discovered this Molasses cookie with Apricot Chunks from Blackmarket Bakery that I’m in looooove with. I must try to recreate it soon. 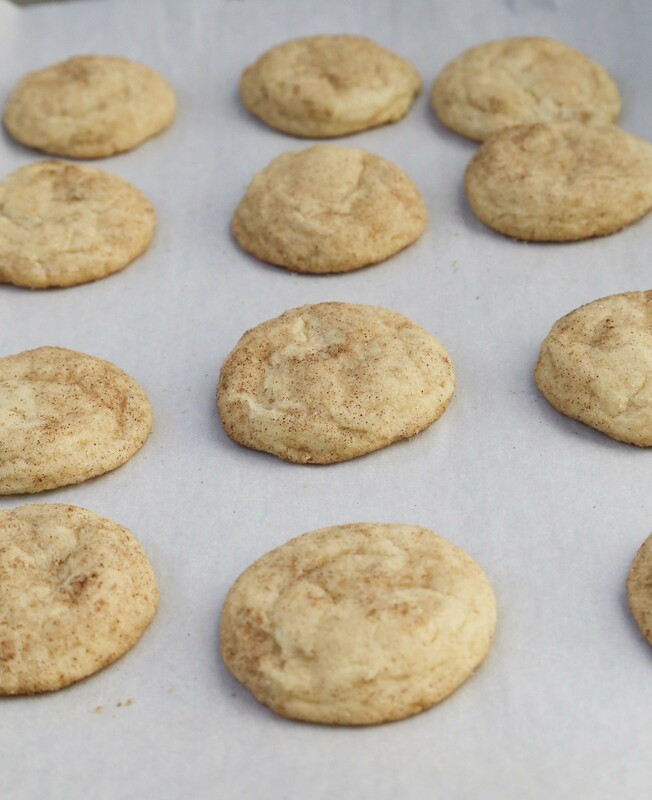 I love, love, love snickerdoodles . . . I’d almost declare them my favorite cookie, but then I’d feel like I’m cheating on chocolate chip and white chocolate macadamia! And I can definitely relate about healthy eating. I joined Weight Watchers last year and completely revamped my eating habits and lifestyle, and I love the changes . . . but sometimes, a girl’s gotta have a cookie. And I do. And I enjoy them all the more! That’s awesome! Congrats on the healthy changes. But definitely, it’s all about balance right? No one wants to go crazy only eating salad. Thanks for commenting! I feel you on the salad thing. On the weekends I tend to avoid salad because I eat it so much during the week. And snickerdoodles are the jam. Totally underrated cookie in my opinion. Ah me too! The weekend comes and salads are basically out of my radar. I think ginger/molasses cookies are totally underrated too! 1. Why shortening instead of all butter? 2. I eat salads for lunch because they honestly keep me from the afternoon slump. I also crave them if I eat something else for lunch, even I eat cooked veggies. 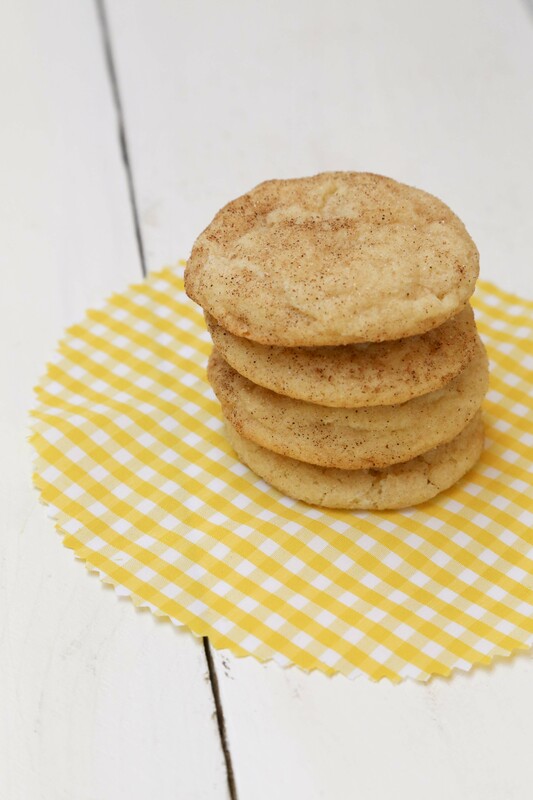 I think I might actually like salads better than cookies…unless that cookie has toffee chunks in it 🙂 I think this is the same snickerdoodles recipe I make…and my youngest loves them! I agree. There are some salads that are more delicious than cookies, but it’s generally a rare find for me, given my ridiculous sweet tooth.